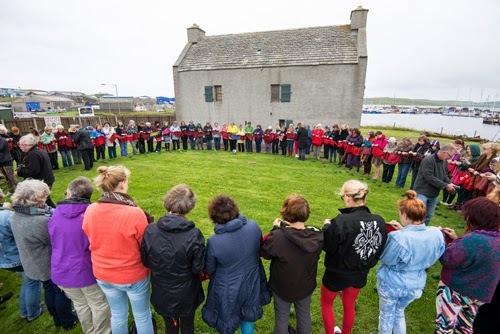 August 1, 2013, 83 people saved a shared hour outside the Textile museum in Lerwick on the Shetland Islands. The performance Own our own time II was a part of the Textilefestival ”In the Loop 3.5”. 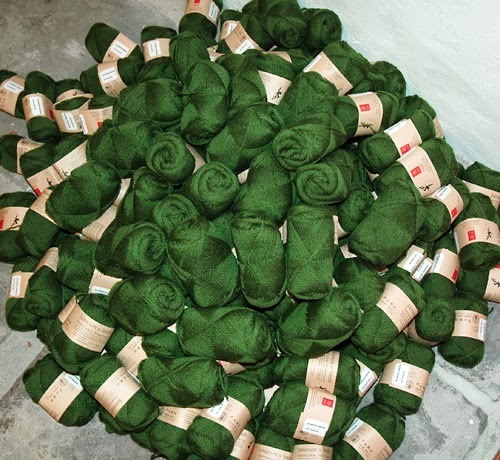 The green yarn that got to represent Shetland was kindly donated to the project by Jamieson and Smith Yarn Factory. 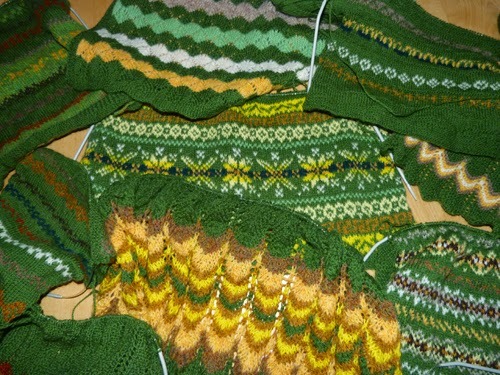 The yarn left over after the knittingperformance was inherited by the Whalsay Bairnes who have created beautiful knittings in green. 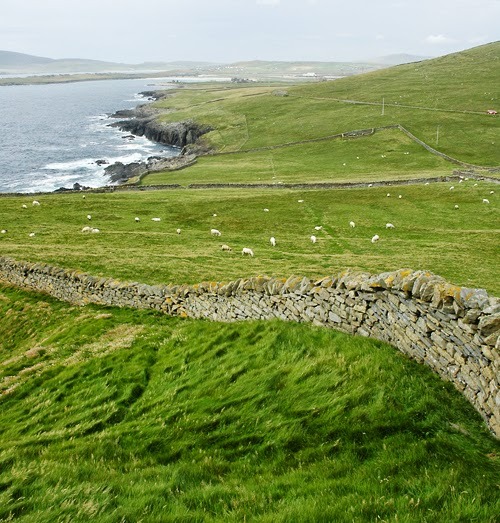 In early June, the Whaisley Bairnes will start their own green knitting circle and save time on the Island Whalsay in Shetland. Good luck Whalsay School Knitting Club with your event!